The fourth-seeded Florida State Seminoles put an end to the Ja Morant show, defeating the 12th-seeded Murray State Racers 90-62 in the second round of the 2019 NCAA tournament at the XL Center in Hartford, Connecticut, on Saturday. Mfiondu Kabengele led the way for the Seminoles with 22 points and seven rebounds, and Terance Mann contributed 18 points. Morant had 28 points, four assists, five rebounds and two steals in a losing effort for the Racers. After becoming just the eighth player since 1984 to record a triple-double in the NCAA tournament, Morant let it be known that he had more in store for the basketball world. Early on, he made good on his word. He was only heating up, though. Morant had 17 points in Thursday's 83-64 upset of fifth-seeded Marquette. Thanks to 5-of-5 shooting from beyond the arc, he had 16 points in the first 11 minutes and 30 seconds of this contest. 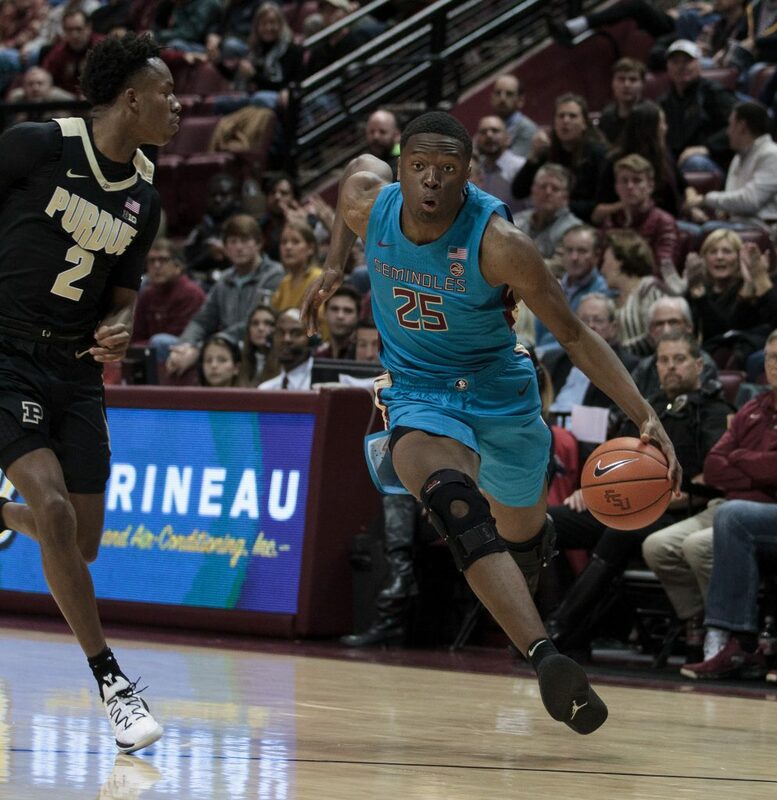 Unfortunately for Murray State, Florida State was able to withstand Morant's hot start and put on a three-point barrage of its own. The Seminoles made eight shots from deep in the opening 20 minutes, with Raiquan Gray and PJ Savoy each knocking down three. Florida State is No. 223 in the country in 3-point field goal percentage. (33.4-percent). FSU is shooting 7-for-10 tonight. Murray is 5-6, with Ja shooting 5-5. FSU's looks are way too easy, as Murray lacks the defensive edge it had against Marquette. It wound up shooting 11-of-27 (40.7 percent) from beyond the arc as a team. The first half was played at an incredibly fast pace, and as a result, Florida State was able to drop a 50-spot on Murray State. That created a 16-point edge heading into the break. Morant continued to fight in the second half, but the Racers were overmatched in this 4-12 matchup. Murray State players not named Morant shot just 30.0 percent from the floor, while Florida State shot 50.7 percent as a team. That's a recipe for disaster. Florida State advances to the Sweet 16, where it will face the winner of No. 1 Gonzaga-No. 9 Baylor in Anaheim, California, next week.